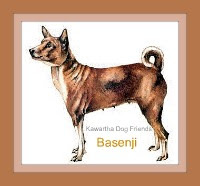 Kawartha Dog Sitter Blog: Regimental Mascot Sgt. Gander – Canadian War Hero! Regimental Mascot Sgt. Gander – Canadian War Hero! Regimental Mascot Sgt. Gander: Brave Newfoundland Dog! Brave Dog,Regimental Mascot Sgt.Gander was immortalized for his heroic acts during WW II. Look closely at the Hong Kong Veterans Memorial Wall, in Ottawa,and you will see the name of a very special dog inscribed alongside the men who fell in battle - Regimental Mascot Sgt.Gander. Here is the story of a puppy n0amed Pal. Gander began life as a puppy named Pal with his family in Gander, Newfoundland. As he grew, Gander spent more and more time at the airport with soldiers who were assigned there. Gander grew to massive proportions,which sometimes caused him to be mistaken as a black bear. When Gander accidentally scratched a child's cheek, his family sought a way to avoid their beloved puppy being put down. The Royal Rifles of Quebec City,stationed at Gander willingly adopted him as their mascot. His official name then became Regimental Mascot Sgt. Gander,and he wore his regimental stripes with pride on his harness. Gander’s new life with the Rifles covered many miles, ultimately ending in 1941 at the battle of Lye Mun on Hong Kong Island. During his time as the Royal Rifles' mascot, Gander proved his value more than once. There are at least three documented instances of Gander protecting the troops. The first: a wave of attackers landed on the beach,and Gander rushed them barking and charging at their legs. The second:one night, a group of injured Canadians lay on the road, when a group of Japanese soldiers advanced towards them, Gander flew at them, causing them to change direction. Gander's last heroic act would cost him his life. A group of soldiers commanded by Captain Gavey were pinned under heavy fire by the Japanese,and unable to move. The Japanese lobbed a grenade at them.Gander ran forward, seizing the live grenade in his jaws, then ran toward the Japanese lines. Gander died in the explosion, but saved the lives of several wounded Canadian soldiers. Gander's heroic actions were memorialized for eternity when he was posthumously awarded the Dickin Medal for "acts of conspicuous gallantry and devotion to duty in wartime." The prestigious Dickin Medal is awarded by the People’s Dispensary for Sick Animals (PDSA),an animal veterinary charity, in the United Kingdom.Then in 2009,the soldiers he fought alogside made sure Gander's name was inscribed on the Hong Kong Veterans Memorial Wall, in Ottawa. Gander's medal is on permanent display in the Hong Kong section of the Canadian War Museum. The newfie posed like a soldier too. He didn't even smile at the photo.